Still looks brand new! 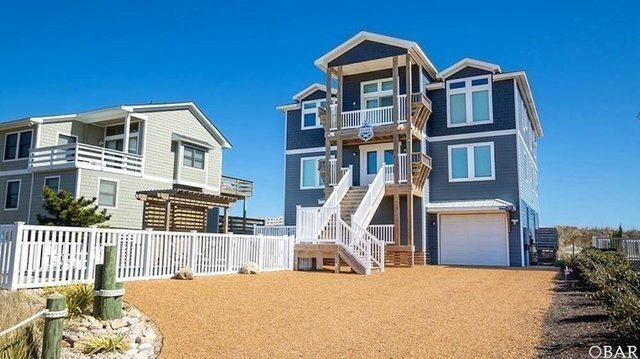 Custom built and well-appointed, this 6 bedroom luxury beach home has all the bells and whistles including elevator, theater room, game room, private pool and hot tub and all in the heart of Duck. Just a short walk or bike ride to Duck Village where you can enjoy the quaint shops and wonderful restaurants close by! The private pool is on the westside of the home to allow plenty of afternoon sun and to optimize the panoramic ocean views on the oceanfront side of the home where you'll find a sizeable dune deck. A must see if you want unbeatable beach views and great rental income!